Now we’re going to tackle how to get free Golden membership in neobux. A Golden Membership costs typically $90, but there are other ways to get free golden membership neobux faster! The strategies contained within this section will help you earn as much money as you’re willing to work for. You could earn up to $500 a month, but we only need to earn enough to become a Golden membership. If you still confuse to sign up and earn money in Neobux, you can read our neobux review 2018. You can use NeoCoins to purchase Golden Membership the fastest and most reliably. It only takes 60,000 NeoCoins to get free Golden Membership neobux. If you were absolutely completing Free NeoCoin offers, you could do it in a day. Most Free offers give 1,500 points by downloading a game. That would be 40 offers. If you complete 5 offers an hour, you’ll be complete with your offers in 8 hours. Neobux also has paid offers. These are typically something like, sign up for a credit card or purchase stamps. Fill out 4-5 of these and you’ll have a Golden Membership in under an hour. Another important note: Coins will be credited to your account 60 days after the offer is validated. 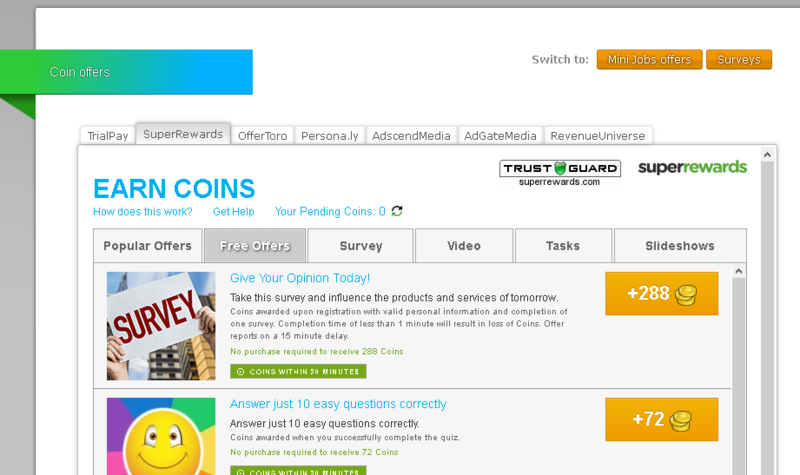 You can consult your pending Coins in your account’s summary page. This strategy is very common with people who religiously view advertisements. Many people on the forums have done this strategy and use it year after year. Let’s talk about how luck could get free Golden membership neobux with AdPrize. Every day 12 Golden Memberships are given away through Ad Prize. Ad Prize allows members to win NeoPoints, Cash, or a Golden Membership. The critical part of this strategy is viewing as many advertisements as possible because that will generate more AdPrize opportunities. And the more adPrize opportunities, the more opportunity you have to win your Golden membership. And the more opportunity you have to win other things that increase your main balance. So how do you see as many advertisements as possible? Neobux came up with a way better way, AdAlert. Download and install Neobux’s browser extension: AdAlert. AdAlert is a simple browser extension that notifies you when a Neobux Advertisement pops up. If you’re browsing the internet on another webpage you’ll be notified of a new advertisement when it becomes available. AdAlert is an essential piece of this strategy. With AdAlert you’ll never miss another advertisement. You’ll need 30,000 NeoPoints for a Golden Membership. Neobux makes it pretty easy to earn NeoPoints. Combine this option with AdPrize and you’ll have 30,000 NeoPoints before you know it. It’s more of a long term strategy. A slow and methodical movement towards Golden. You’ll see around 24 ads everyday and as a standard member you’ll earn $0.001 per ad clicked. This is really a low value, but later you upgrade for Golden or Ultimate membership you’ll have 9 or 15 extra ads worth $0.02 to click everyday. Also for every ad you view you’ll earn 1 neopoint, if you reach 30000 neopoints you can get a free Golden membership neobux converting these neopoints. A golden membership costs $90, so keep clicking every ad available and you can earn a free Golden membership if you have some patience. The critical-ness of this step cannot be understated. Purchasing your Golden Membership at the correct time will save you $10 – $20 every year which equates to about 15,000 NeoCoins. Neobux’s Admin offers upgrade/renewal discounts throughout the year and they have been repeated every year at Neobux! This gives us hope that they will be continued in the future. That said, being strategic in planning the day in which you purchase your membership will save you money and allow you to rent more referrals. While purchasing at the wrong time will make it more difficult to take advantage of the discounts and make your account less profitable. If you want more detailed information on when I think you should upgrade, I’ve documented the Admin’s most common discount days along with recommendations on when to upgrade. I recommend upgrading at the New Years promotion or Neobux’s official launch date (March 30th). We learned how to get free golden membership in neobux the fastest, and lastly we talked about strategically purchasing your membership so you can get a discount every year. Pretty good so far. Hi. Does Neobux offer the Golden Membership Discount on every New Year’s Day every year?